Every organisation has to tackle workplace disputes and grievances at some point. Whether it’s a problem with a member of staff who doesn’t pull their weight, but objects to being challenged on their performance; or more serious claims of discrimination, wrongful or unfair dismissal business owners, managers and HR personal have to know what to do when a conflict arises. How you handle such problems can mean the difference between an Employment Tribunal claim and legal expenses running into the tens of thousands, and a mediated settlement dealt with quickly, without too much fuss, and at minimal cost. The conciliation service at Acas claims to have stopped 8,988 workplace grievances becoming claims, saving employers a total of £46.7m. Taking a mediated approach to employee disputes and using mediation skills in all your dealings with employee grievances will protect your organisation against potential claims too. Employers using conciliation and mediation approaches to disputes can also save on "hidden costs" associated with tribunal claims, such as stress and time dealing with the case. Acas figures show that on average managers spend nine days on paperwork once a claim reaches court, compared with one day resolving the dispute through conciliation. The same is true of mediation. Careful preparation and a two hour mediation session with the parties can often resolve a dispute that might have gone all the way to an Employment Tribunal without such an intervention. Unfortunately in many organisations there is only one way to handle disputes and grievances and that tends to progress them through a system with an ultimate end course of the courts. Prevention is always better than cure when it comes to this type of organisational challenge. How can you prepare your organisation to tackle employee grievances and disputes differently? 1. Focus on identifying where disputes manifest. One of the issues which organisations face is that they do not know where or why disputes arise in their organisations. As an organisation you should conduct an audit of disputes and grievances, their occurrence and causal factors. Consider a series of questions: What grievances have been made? How quickly are disputes resolved? What complaints have been made against staff members? What is the escalation procedure for disputes and is this widely known and understood? Where do issues arise in the organisation? What is the cost of disputes and grievances raised by your staff in terms of time and legal fees? Review and monitor on a department by department basis, consider whether particular managers or personnel are having an influence on the number of type of grievances raised. 2. With this in mind start to explore different methods of dispute resolution and prevention. The traditional lawyer’s route is to focus on the employment contract and try to make this water-tight. Some organisations might include a mediation clause in the disciplinary and/or grievance procedure. But organisations can start to think of going beyond the written terms and to show more imaginative ways of resolving disputes. This can include promoting face to face meetings, mediation or allowing senior staff to be trained to be more effective in resolving disputes. Consider informal problem solving, mentoring and coaching of staff as ways of dispute resolution. 3. Focus on all the disputes, at all levels in the organisation. In my experience organisations can be quite disjointed in their approach to dispute resolution. Some have procedures in place for disputes with staff at a junior level but fail when it comes to senior manager or director level disputes. If you think about it these can potentially be the most disruptive and costly disputes, so ignore them at your peril. You need a procedure and approach for handling disputes and grievances across the whole organisation. Of course you will need to prioritise. If you have done your audit you will know where the problems are and know also which areas of your organisation to pay your attention to. 4. Develop the right skill set. All managers should be provided with a basic understanding of their legal rights and responsibilities when it comes to dealing with staff. They also need appropriate people management skills. But to handle disputes effectively there are some particular skills and techniques that are required. 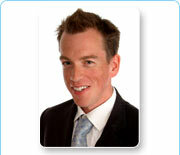 One of the tools which we use in mediation and dispute resolution training is the development of chairing skills. Effectively the manager chairs a conflict situation with two disputing employees. From this, the manager develops the ability to handle a conflict better and has the confidence to know when to intervene, when to be conciliatory and when to shut up. Some line managers might lean heavily on their HR team. In my experience of human resource managers they are often scared of saying the wrong thing for fear of offending one of the parties and facing a legal claim. Providing managers in the front line with the right legal knowledge will provide them with the confidence to manage staff in conflict situations. 5. Use pilot projects to see what is working and keep going. Some organisations start to implement some training and greater use of mediation, but then stop. This can be due to organisations losing commitment, some cynicism or failure to properly monitor the results. Start small, focus on the top two or three issues highlighted by your audit, monitor the results and that way you are more likely to see tangible results in the long term. 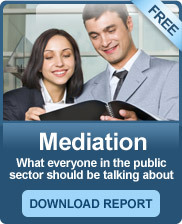 Mediation - what everyone in the public sector should be talking about!